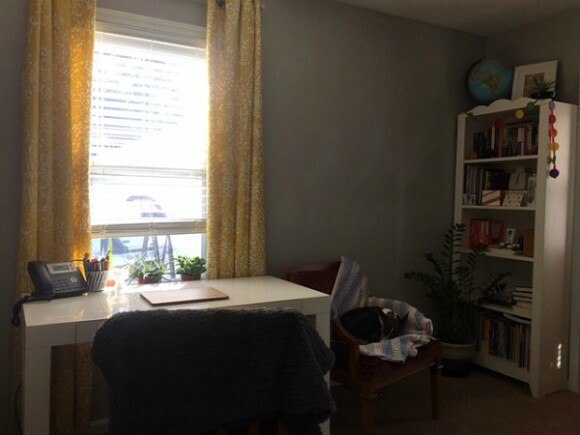 Getting my own office made me brave enough to call myself a writer. Before I was a blogger. I think there’s a difference between those two things. If you disagree, that’s nice. To me, saying out loud you’re a writer is big and scary, and it felt presumptuous, like I was saying I was good at something. As someone who hates when people brag about themselves, it felt like I was drawing attention to myself. But I understand that title differently now. I am most definitely a writer. I even have a cozy little office to call my own. Moving into this space was the first time I wasn’t just doing something quietly on the internet at my computer cubbie in the hallway at night after my girls were asleep. As Chris painted the walls and we bought a desk and brought in chairs that my grandma had given me, the idea I wasn’t just some hack pretending to do something, but I was really going to try this writing-on-the-internet thing became real. And Chris felt I could do it too because he was painting a space for me to dream and write in. 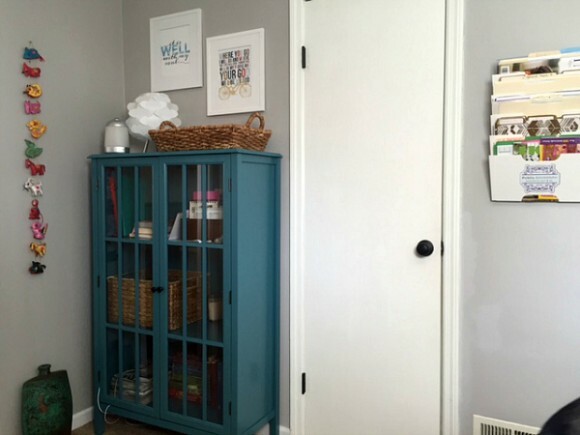 This room was first a nursery for both my babies. I spent countless hours rocking my daughters in here late at night. I have spent more time on this carpeted floor rolling around, reading books and building block towers, than any other room in this house. 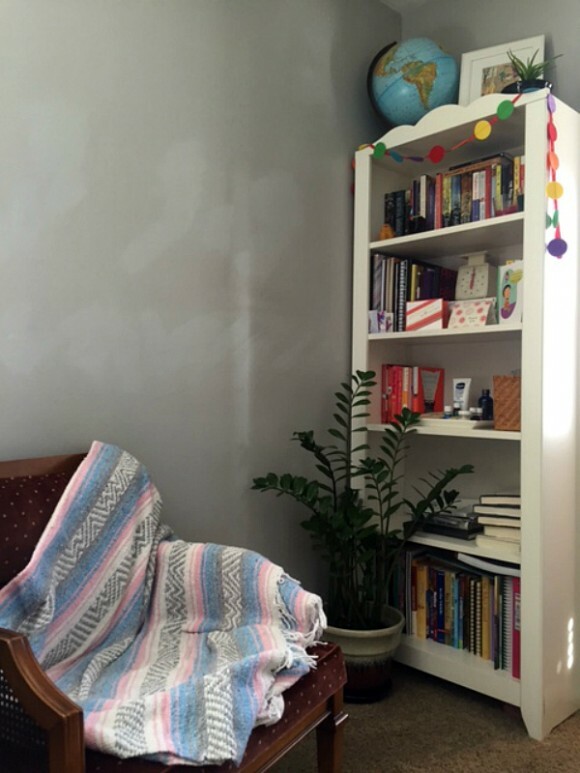 This room sheltered my two answered prayers as they first slept through the night (finally–praise the Lord), outgrew their cribs, and learned to talk. Now it’s working on new prayers and answers. Ones that I need to work through as I write. Ones that come from early mornings spent reading my Bible and in quiet time with my Jesus. Ones that come as I turn this writing desk into a work-from-home desk. I rearrange the furniture in our house all the time. 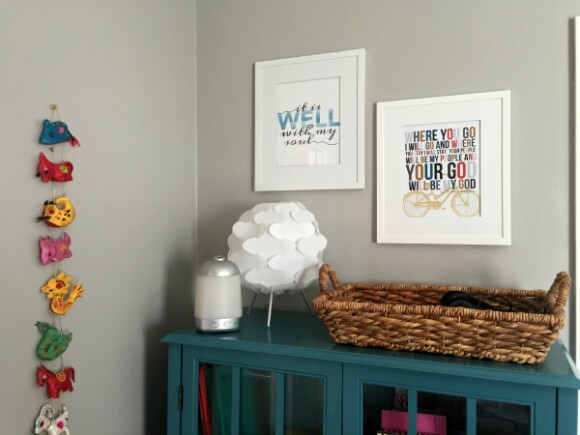 It drives Chris Graham crazy, but I like change and new ways to make a room feel like home. I think that’s why I loved moving so much in my early twenties: nothing was more exciting than a new apartment to decorate. But buying a house and accidentally committing to buck the American dream of bigger and better houses every few years has made me okay with no more moving. But I will always rearrange the furniture, so help me God. 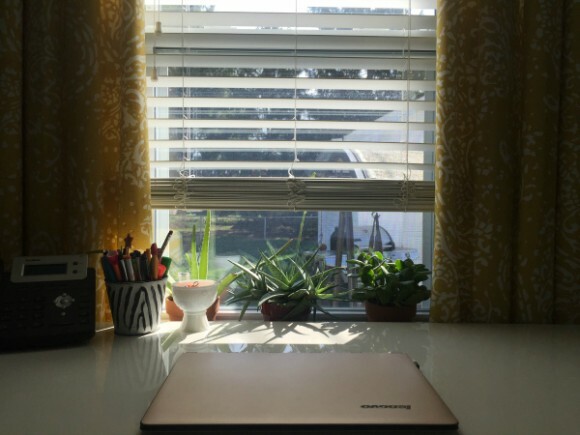 In the fall, I moved my desk to the window and my first thought was why didn’t I do this two years ago? Why would anyone ever stare at a wall while they’re working? It’s crazy how a slight shift of perspective and a little natural light can change your world. My office is full of well-loved books, exciting dreams, warm blankets, green plants, and hidden chocolate. Sometimes the girls hang out in here, coloring or building towns out of Legos. The dog curls up in the chair next to my desk after arranging the blanket into a perfect nest (and also knocking the pillow to the ground because he doesn’t like it). The closet is full of new office supplies, more books, hooks overflowing with running medals, and purses. You could walk in my office and know everything you need to about me without ever actually meeting me. This is my favorite place. I became a writer between these walls. I wrote my first viral post here. I told the world about addiction, marriage, loss, and my amazing God. This room has been lit well into the early morning hours as I wrote to understand what was going on in my head. I sat in this chair to try and come up with words to tell others how great my God is. I have failed a lot in this room. I have had great successes in this room. I meet God in this room most mornings, and the things he’s teaching me have changed how I look at the world, myself, and my writing. This room feels like home more than any other place I’ve ever been. So I thought you might like to see it. Because if you know me, you have to know this place too. I think I’m being called to do some hard things in this office—sharing my stories and maybe start working on that book that everyone always asks about. The one I say is coming, I just don’t know where to start. The truth is, I have started, about three times. I have lots of stories written and then when I let them sit, I decide they’re not good enough for public consumption and I scrap them. If self-doubt makes me a writer, then I am for sure a writer. So I’m here, telling you that if I disappear in about a month, it’s because I’m writing—I promise, I’m writing—and I’m getting ready for something bigger than I feel ready for, but I’m trusting God to do what he wants with it. And I know because I can’t stop thinking about the next step that he’s probably going to do something crazy. Can you pray for whatever I’m supposed to be writing? I know that’s vague and I’m sorta asking for prayers for something I’m not completely sure of yet, but whatever. I’m going to write to quiet the incessant whispers that I can’t turn off and see what God does with it. May is when I’ll be locking myself away in this office, this place that has shaped so many of my words, and see what we can come up with. And I’d love your prayers for May. this is so exciting. I can’t wait to see where you go! You’ve always impressed me with your story-telling and honesty. You are so brave. Best of luck and lots of prayers! How very wonderful for you. Thank you always for sharing your “story” when you write. You write beautifully and yours is the first blog I follow, that I actually read every word you write. (I am a slave to almost every word Diana Gabaldon writes, so I think you’re a big deal). And you have a beautiful office. What a wonderful space for you, Mary. Mismatched walls are just a reminder that there is no perfection except God . 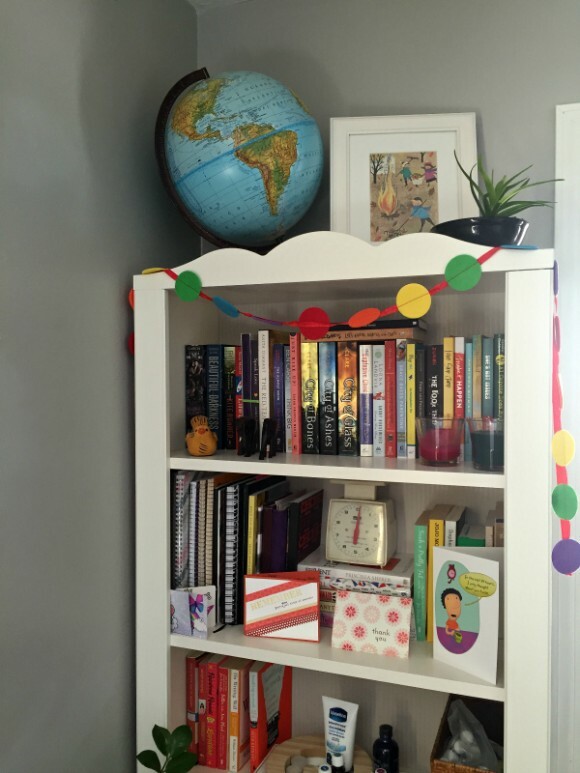 Have you considered a devotional for women as your project, or maybe one for kids? Do you have an YA novel in you? I will pray for you. Peace and All Good! Thanks, Marjorie! And those are good questions…I’m not sure! I’m so happy that you are in the place you are in. I get such encouragement from your blog, though I confess, I don’t manage to read it every day. I will definitely be praying for you to see clearly the writing path you are supposed to be on. Lynne–no one has time to read my blog everyday, not even my mom, so don’t worry. 😉 Thank you for your prayers, I truly appreciate them!